September 19th, 2016 | Pledge to Resist! Four women from Greater Boston were arrested late this morning after halting construction of the West Roxbury Lateral pipeline in the West Roxbury neighborhood of Boston, MA for over two hours. The four women only met for the first time today but had followed the struggle to stop the pipeline for quite a while. Just days before this action, they were trained in nonviolent civil disobedience, and they bonded together in a muddy trench, under the steel plates of the construction site. Roni Murray, of Billerica live tweeted and recorded a short video posted at her Facebook page while Hendrix Berry of Jamaica Plain, Jean Foster of Cambridge and Becky Pierce of Dorchester explored their environs while contributing comments and camaraderie. “Literally nobody in the community one wants this pipeline… except the company building it” said Roni Murray narrating as she recorded a panoramic view of both ends of the dark tunnel formed by steel supports on the sides and steel plates forming a makeshift roof over the trench. 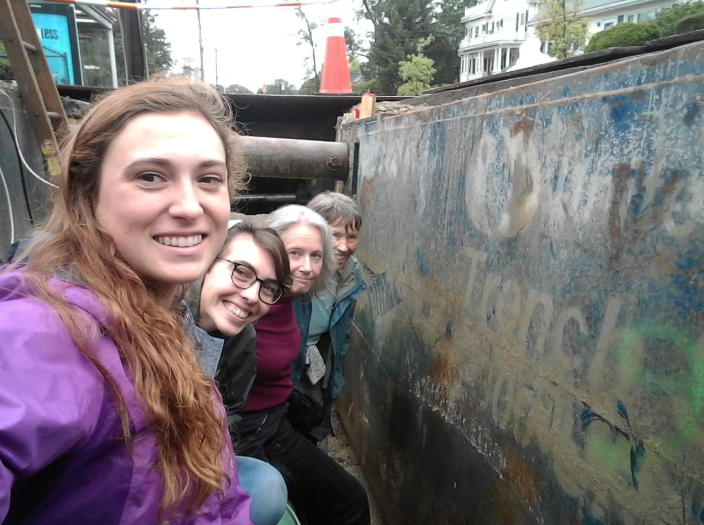 Of the four women taking action today none had previously committed civil disobedience at the West Roxbury Lateral construction site. 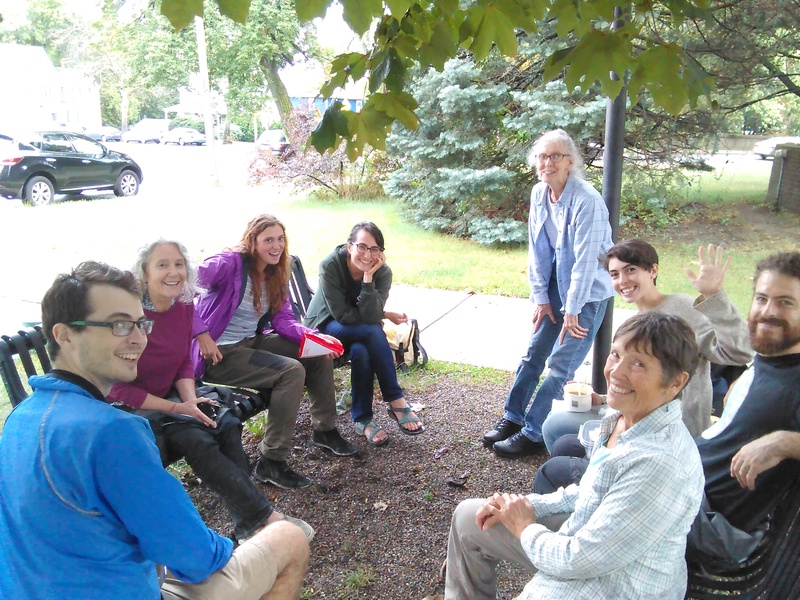 They all shared a strong conviction that the pipeline project was wrong for their neighbors and our fragile climate. ” Why are we allowing Spectra to build more dirty energy infrastructure when we need to be taking it down and building clean energy infrastructure?” said Hendrix Berry of Jamaica Plain, when asked about her decision to risk arrest. Inside the trench the occupiers could hear chants from supporters above ground as law enforcement planned their removal and the construction crew lifted steel plates to try and locate them. “We kept moving under there to stop construction longer” said Jean Foster. The strategy to remove all the plates was deemed too dangerous and finally authorities had to give up and enter the trench as the protestors had. Some two hours and 15 minutes later EMTs and fire crews had removed all the women by stretcher.